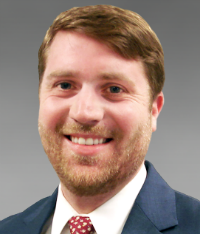 In 2017, Kyle Schielack joined Higgin-botham’s Houston office as vice president, bringing with him eight years of experience in managing risk and insurance for commercial real estate and development, multi-family, manufacturing, and distribution companies. Previously, Schielack was a VP at a private insurance agency, where he achieved record revenue growth. At Higginbotham, he mentors young agents and serves on the firm’s sales strategy advisory committee. Last year, Schielack was a part of an expert panel on commercial real estate liability and the testing and maintenance of fire sprinklers that was published in the Houston Business Journal. In addition to his insurance duties, Schielack has served his community in a variety of capacities, including as an executive volunteer for the Prison Entrepreneurship Program and serving on the Calf Scramble arena committee for the Houston Livestock Show & Rodeo. He also established Live Oak Professionals, a group of young executives committed to professional development.